Enjoy the latest monthly covers wrap-up for the long weekend ahead, take note that Vogue Paris, Numéro and Interview are on June/July issues, check back on the June post to see the covers if you’re curious. Kristen McMenamy is back. She’s appeared in the MET Gala in her white hair before, it’s slowly becoming her signature. Meisel has been re-using ex- VI cover girls since May (Sasha, Meghan and now Kristen), after a slew of new models and ‘it girls’. Inside is a 32 page editorial of Kristen. Sienna Miller ph by Craig McDean. Julia Stegner ph by Alexi Lubomirski. Four of her last five Vogue Covers are all Vogue Germany. They love her, enough said. Check out Cindy’s full ed here. Snejana ph by Terry Tsiolis (in that $20,720 Versace dress). Must-see: Alana Zimmer’s ed in this issue, ph by Yelena Yemchuk. Anna Selezneva ph by Camilla Akrans in Hawaii. Kate Moss ph by Inez & Vinoodh. 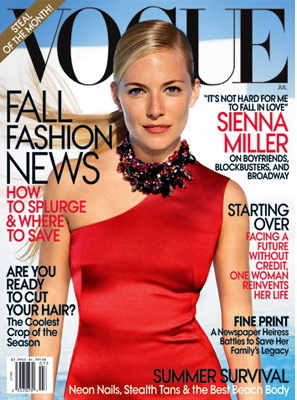 Myf Shepherd’s first Vogue cover. Caroline Trentini ph by Terry Richardson. 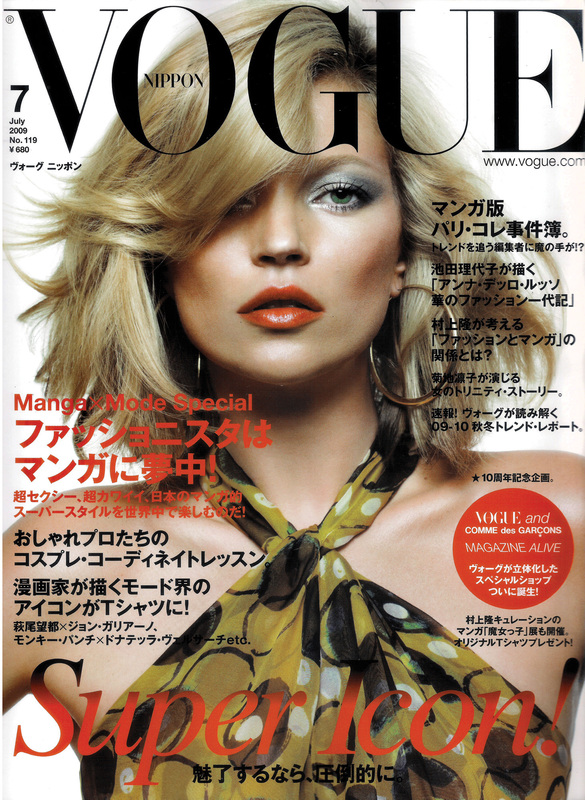 Kate Moss, reprint from Vogue US May. Maryna Linchuk ph by Sebastian Kim, see her full ed here. Bruce Willis and new wife Emma (represented by NEXT), ph by Steven Klein. W has been on a celebrity run lately, and loads of Steven Klein… time for a change? Prada girl Kendra Spears for the ‘Rip It Up’ issue, ph by Mariano Vivanco. See her ed here. I’ve already posted Iris’ed ‘A Touch of Class‘ in two posts earlier, now see the fake Donatella in action! american vogue shocked me. it was very very thin ! and the cost was hk $ 50 only ! usually would be $ 90.
vogue china + vogue brasil + vogue russia are my types. i’m glad more “exotic” editions are getting better and better. on the other hand i really dislike vogue india’s covers. 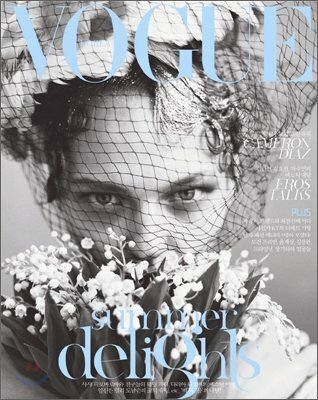 i know vogue portugal is a re-print but i still think it’s really pretty. and it’s nice to see vlada getting a cover. According to a Vogue Portugal reader, they rip off every thing even down to the articles.